I’m tearing my hair out again about the spelling lists some of my students are being asked to learn for spelling tests. They’re all noise and no signal. A spelling list should help students learn something about spelling. They should demonstrate a clear pattern students can apply to their reading and writing. Because teachers are not usually taught much about spelling, the main message their spelling lists often send to students is that spelling is very difficult. I wish teachers designing spelling lists would identify a single, clear spelling signal for each list, and then choose words which focus their students’ attention on this signal, and minimise background noise. For young children, such a list might go like this: quads, squad, swamp, swan, swap, swat, wand, want, was, wasp, wash, watch. This list makes the spelling point that after the sound “w”, the sound “o” (as in “got”) is spelt with a letter A. The teacher would probably want to remind students that we write “qu” not “kw” or “cw” in English, so the letter U in these words represents the sound “w”. For older students who know such basic spelling patterns, a spelling list’s signal might be the “ai” in “samurai”, and contain the following words: Aikido, bonsai, Dubai, haiku, Masai, Nairobi, samurai, Shanghai, Sinai, tai chi, taipan, Taiwan. This is a syllable-final vowel spelling typically borrowed fairly recently from another language, such as Japanese and Chinese. You could add the word “Thailand” to the above list, or save it up for a list that teaches “th” as in “Thomas”, containing words like: discotheque, Esther, Kathmandu, Lesotho, Mathilda, Thailand, Theresa, Thomas, thyme. Beethoven and Thames could be added if these were known vocabulary, and the funny “ee” and “a…e” weren’t going to throw too many students off-signal. Names contain all kinds of spelling complexity, and names of people, places and things (e.g. brand names) are words students have to read and spell just like words in the dictionary. I don’t see why they aren’t considered fair game for inclusion on spelling lists. Most of the spelling lists my students show me aren’t what I call spelling lists at all. They’re vocabulary lists. They teach topic-related vocabulary, but nothing useful about spelling. Here’s the sort of list I mean: asteroid, celestial, cosmic, eclipse, equinox, gravity, inertia, lunar, meteor, orbit, satellite, solstice. This is an astronomy vocabulary list. It makes no point about spelling. There is no shared spelling pattern. Sometimes, such lists contain a few words that have a shared spelling pattern, but usually there aren’t enough examples to make the pattern really clear. For example: adaptation, embryology, evolution, extinction, fossils, frequency, genetic, gradualism, migration, selection, species, vestigial. Some students will notice that five of these 12 words end with the noun-forming Latin suffix “tion”, typically pronounced “shun”. Other students will miss this pattern unless it is explicitly taught. 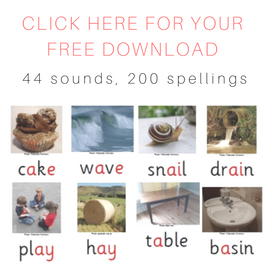 Teachers who want to find lists of words sorted by sound and spelling from which to choose their spelling lists can click here, or they can download my free booklet of such lists here. 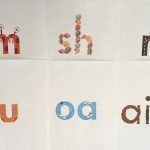 This entry was posted in phonics activities, sound-letter links, spellings, teaching strategies on August 16, 2015 by alison. Hello fellow 'speech to print'ers…just wanted to say hi. Yes drives me mad when I see 'spelling lists' that have no real link to meaningful teaching, or sequence with regards to high frequency sound pics, or their use within spoken language. I emigrated from the UK about 8 years ago (an OFTSED Inspector) and ended up putting what I do with the supposed unteachables into a replicable program for Aussie teachers, called The Speech Sound Pics (SSP) Approach. 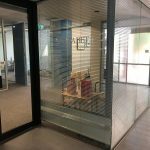 I quickly realised that teachers were not being trained effectively, supported effectively …nor did they have the time or money to start creating a program that meets the needs of all. I'm hoping you have heard of it, as finally getting through to the education department here because schools using SSP are breaking all records for reading, writing and spelling 'outcomes.' My pride is actually in student engagement, reading for pleasure (not a level) and teachers who say they finally love going to school every morning, and can't wait to see what they will learn from their students! From what I can see we are on the same lines, so thought Id say hi. 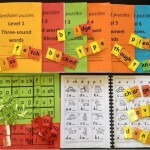 SSP is a complete 'teaching reading, writing and spelling' program with three phases. 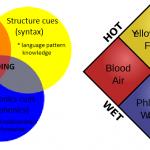 Phase 1 – oral language, phonemic awareness. Phase 2 – as above, but with the code ie learning to code map with fluency and comprehension and to spell anything, and know if it looks right, and how to check. Phase 3 – now reading to learn, writing to express. 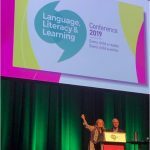 I am currently in the US filming a 'Reading Whisperer' pilot and setting up a US office, but our AU office in QLD is busy supporting schools who want a more child centred, inquiry based approach that allows kids to understand the way our speech sounds are represented on paper. Duck hands, lines and numbers could be our most poweful weapon against illiteracy. So please do take a look ! We will get there in the end. Even just within the past 12 months there has been a dramatic shift- I even now have schools refusing to 'benchmark' until the kids are at the SSP Blue Code Level. Don't fall off your chair…. 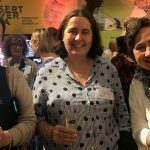 This gives an insight into pictures of speech sounds and 'code mapping' which is a far more user friendly version of phonics as only two words can't be mapped ('sounded out') No more learning sight words by …urm…sight ! Robbie the Rapper reminds the kids to use their duck hands (left to right segmenting the speech sounds) before then writing a line for each speech sound (as they say the speech sounds) and then numbering them. They can then identify which speech sound 'sits' where – afterwards they can 'play' the word.. I know a LOT of speechies are now using it within their practice as 'it just makes sense' . Nice title, Alison! It makes the point very well and you know how much I agree with you about the substance of what you say by the fact that I have hardly any hair left! Having attended a couple of our Sounds-Write courses, you’ll know that we do recommend that if teachers feel they must send home spellings lists, they should organise them according to sound-spelling correspondences, as you indicate above. And I do like your suggestions, btw. In addition, I’ve decided to take the law into my own hands, so to say, and publish a list of all the words to be learned in Years 3, 4, 5 and 6, as recommended by the UK government, and split them into their constituent syllables, indicating where sounds are spelled with more than one letter and marking syllable stress with an apostrophe. The latter is very useful for second language learners and for L1 speakers for whom a word might not be in their mental lexicon and therefore need to know where stress lies. 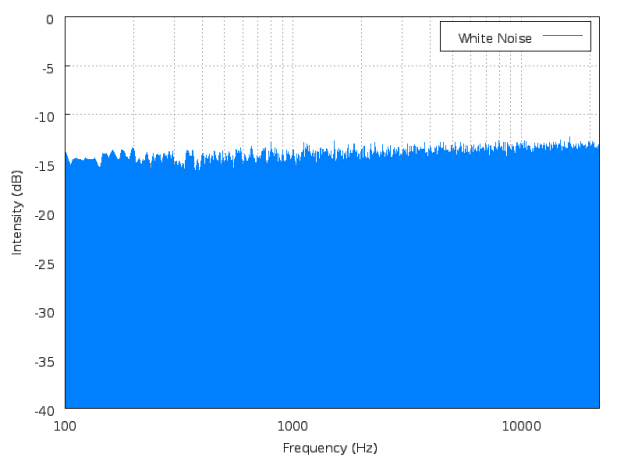 This also hints at where schwas might be found too.